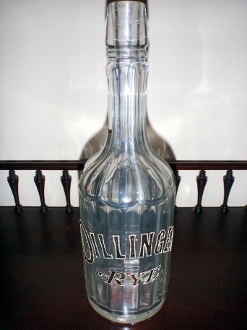 Dillinger Rye back bar bottle with gold letters. Gold letters show typical wear from bar use. Bottle has ribbed base. Bottle measures 11 1/2". Nice bottle.